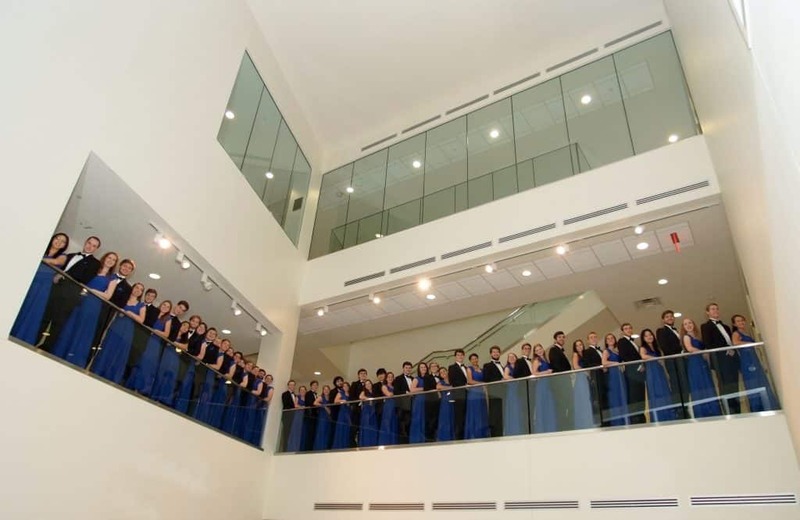 Join the renowned Washington and Lee University Singers as they return from their 2016 tour of the South with an evening of a cappella choral mastery on Feb. 28 at 8 p.m. in the Wilson Hall Concert Hall. The performance will feature the choir performing a series of daunting modern Latin motets by Frank Martin, conductor Shane Lynch, and Ola Gjeilo. Then travel through the mastery of Bach in his grand motet Der Geist hilft unsrer Schwachheit auf, BWV 226 before a journey home, featuring music by Mack Wilberg, Eriks Esenvalds, and John Denver. Finally, close the program with folk songs, gospel music, and other works of Americana that are always audience favorites. Tickets are free, but required. For ticket information, contact the Lenfest Center box office 540-458-8000.